Place both hands folded in front of your solar plexus, at the level of your stomach. 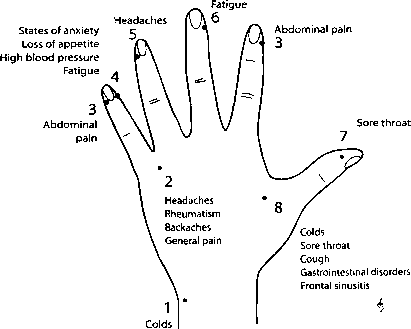 Lay the respective index fingers and thumbs on each other. 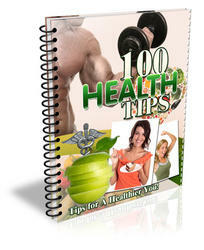 Point your index fingers upward to the ceiling, and your thumbs downward to the floor or stomach. If you are lying down, the tips of your thumbs may lie at the lower end of your sternum. The Uttarabodhi Mudra can be held anywhere, at any time, and for as long as you want. You can use this mudra when you feel physically and mentally listless, when you want to relax, or when you need a rousing idea—a flash of inspiration. and is a^so resPons''3'e charging the inner power reservoirs. I like to compare this mudra with a lightning rod, and I practice it frequently before I give a talk, teach a class, or write. On the one hand, I want to make a connection with the divine powers that should be the essence of my work; and on the other hand, I would like to create the connection for the listeners students, and/or readers. Test the effect of this mudra—you will be amazed! herbal Remedy: Sallow thorn (Hippophae rhamnoides L.), which is to be taken during the dark winter months in particular, refreshes body, mind, and soul. Imagine a line that extends from your pelvis to your heart, your head, and far beyond your head, losing itself in infinity. Whatever you now desire—solutions, answers, healing power, clarity, etc.—comes to you through this line as light from the cosmos. Perhaps you also wish for something for a fellow human being. Then conduct this light into your heart and to the respective person from there. My partnership with the powers of the cosmos allows my life to appear in a new light. 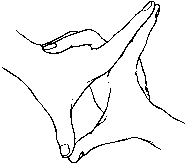 How does uttarabodhi mudra effect the body?